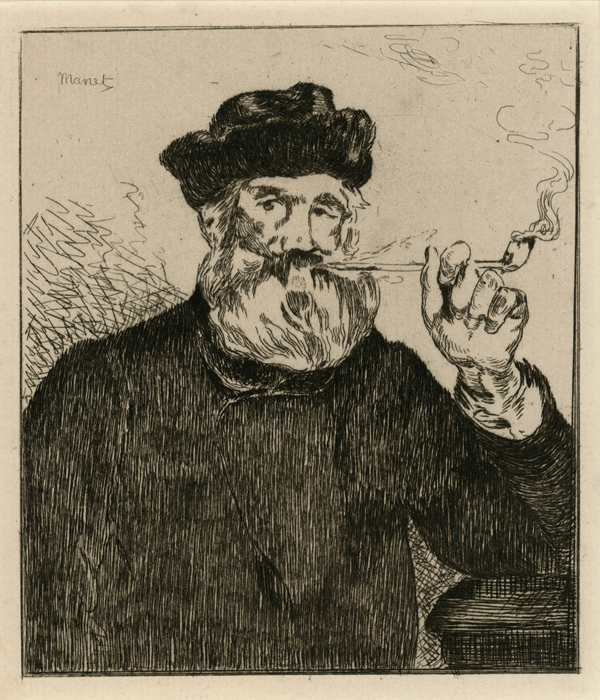 This is an original etching and aquatint by French artist Louis Legrand. 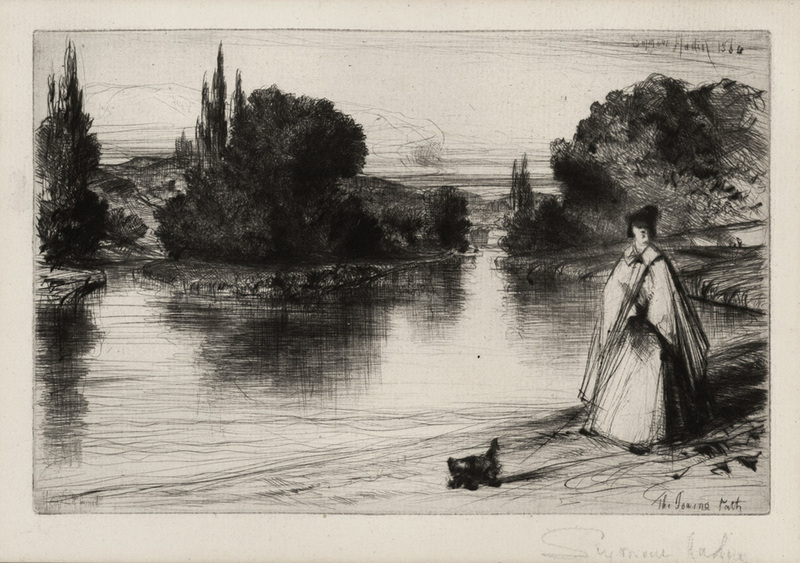 This etching is titled: "La Fille a sa tante", the girl with her aunt....This etching was created and printed in 1893 in an edition of 100. 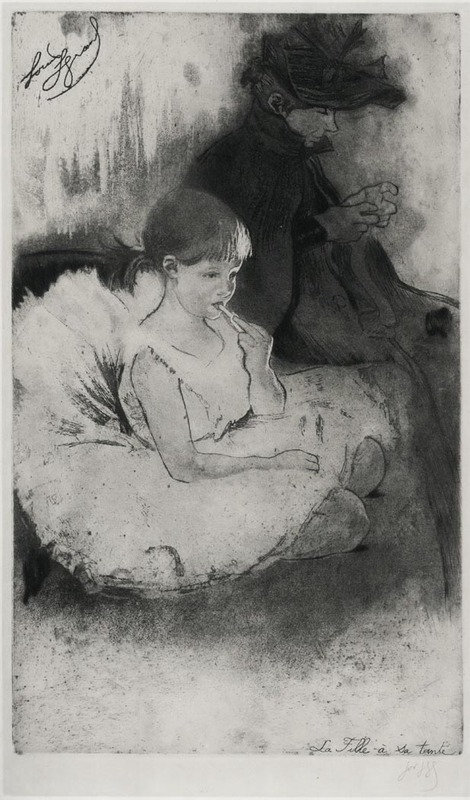 It came from his series "Les Petites du Ballet", (the Little ones of Ballet). The image measures 14 1/4X8 3/4 inches. Printed on a medium weight wove type paper, pencil signed lower right border. This image appears in the Arwas catalog as image number 77. 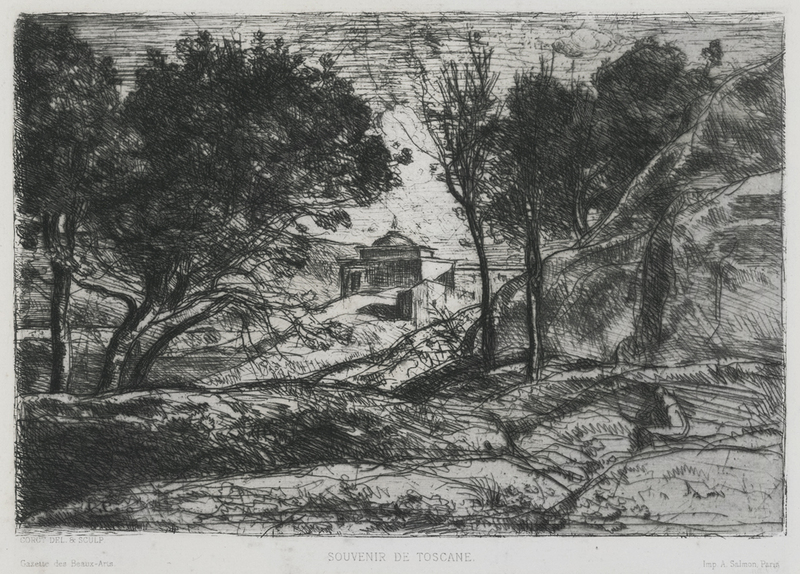 An original etching by Piranesi from his 'Vedute di Roma' series, this image measures 17 7/8 x 27 1/4 inches, state V/V, 1766, cat: Hind-78. From the 'Regia Calcographia' edition c. 1870s, with the blindstamp in the lower right corner. Piranesi was an Italian artist and designer, best known for his series of etchings of Ancient Roman ruins, the "Vedute di Roma". These striking, monumental images of the ancient grandeur of the Roman Empire provided inspiration for many of the artists of the Neoclassical movement in the late 18th and early 19th centuries. 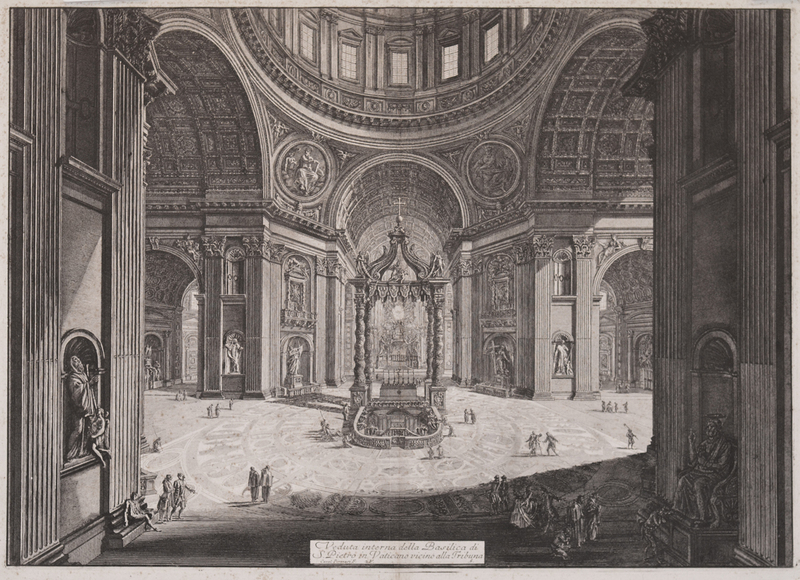 "Internal view of St. Peter's Basilica in the Vatican near the Tribuna." 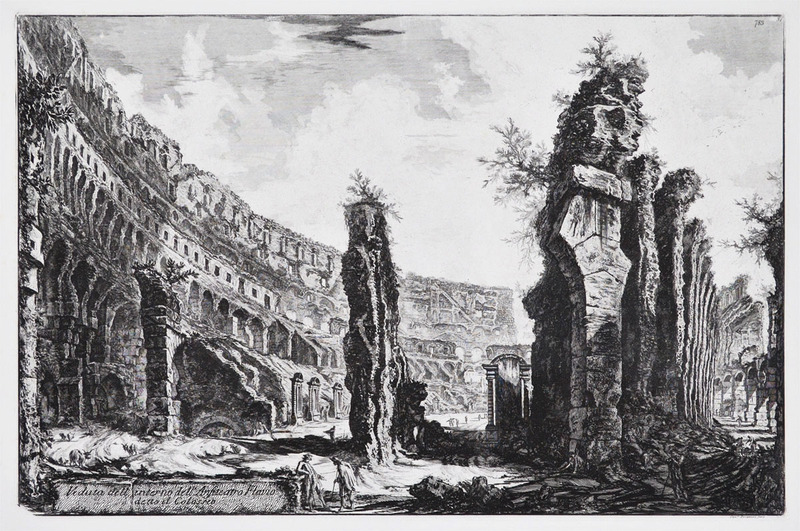 It was from the Vedute di Roma series, which Piranesi is best known for. These striking, monumental images of the ancient grandeur of the Roman Empire provided inspiration for many of the artists of the Neoclassical movement in the late 18th and early 19th centuries. It appears in the Hind catalog as image number 102. The image measures 19 1/4 X 26 1/4 inches on 21 X 28 1/4 inch laid paper. 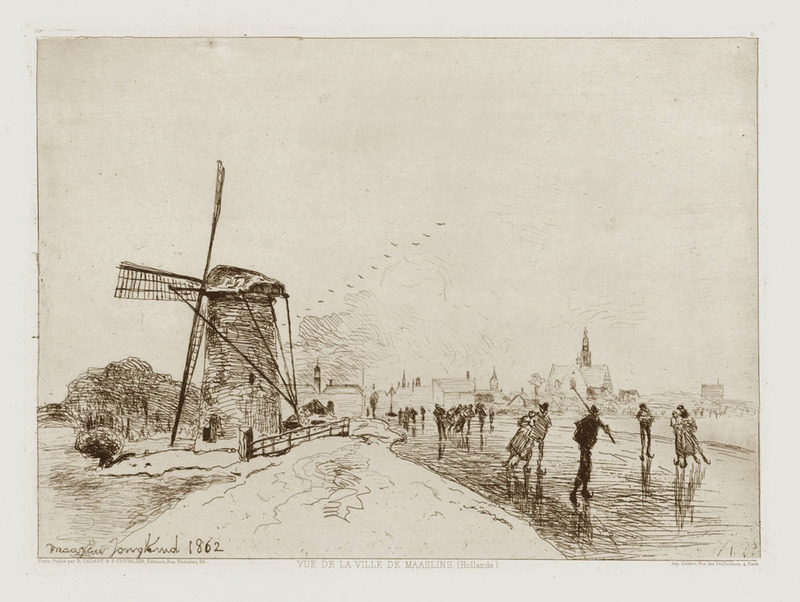 This printing is from the 1st Paris edition, created between 1800-1807 when the family brought the original plates to Paris. There is a "2V" after the signature that dates this etching and makes this the 2nd state of three. A very rich impression not seen in the later restrikes. Drypoint etching. Catalog: Beraldi 778. C. 1882. 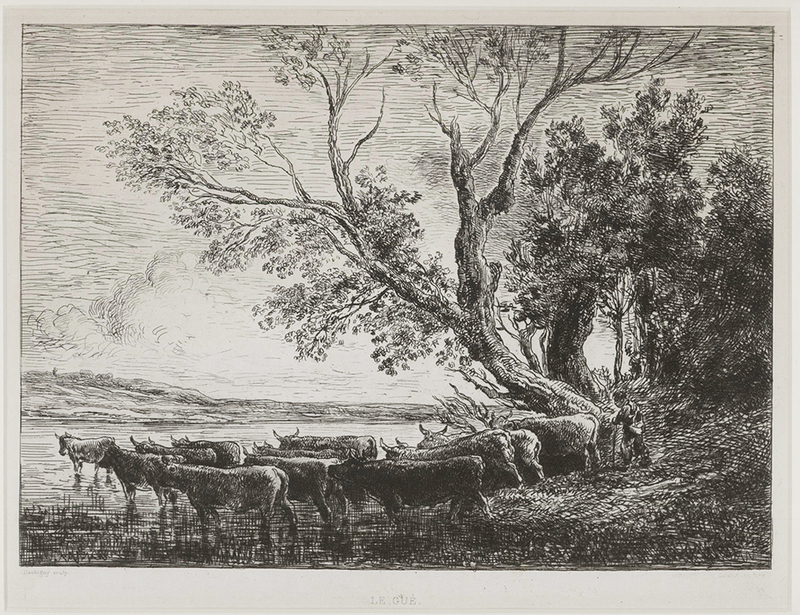 A very detailed etching with meticulous linework and a unique composition. Initialed in ink in the lower left, pencil signed in the lower right. Plate measures 13 3/4 x 10 3/8 inches in a gold colored 21 x 17 inch frame. 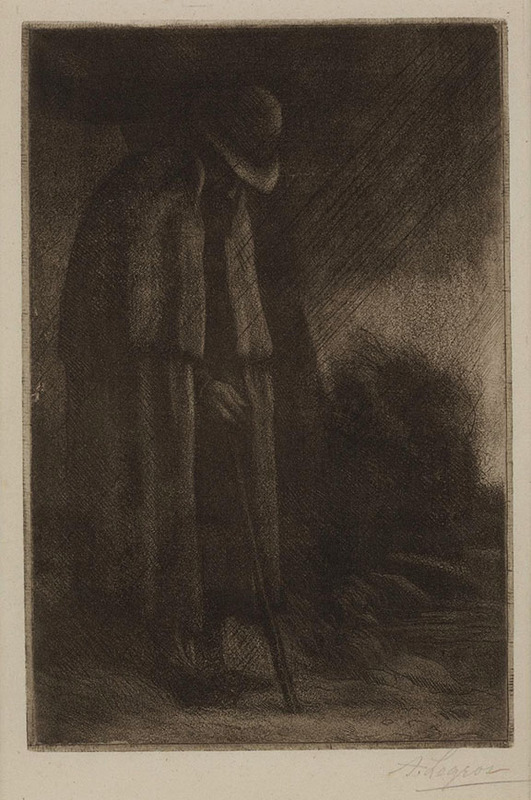 Drypoint etching from 1853. Catalog: Beraldi 111. Plate signed in the upper right, pencil signed in the lower right. Blindstamped in the lower left. Plate measures 8 7/8 x 11 1/2 inches. 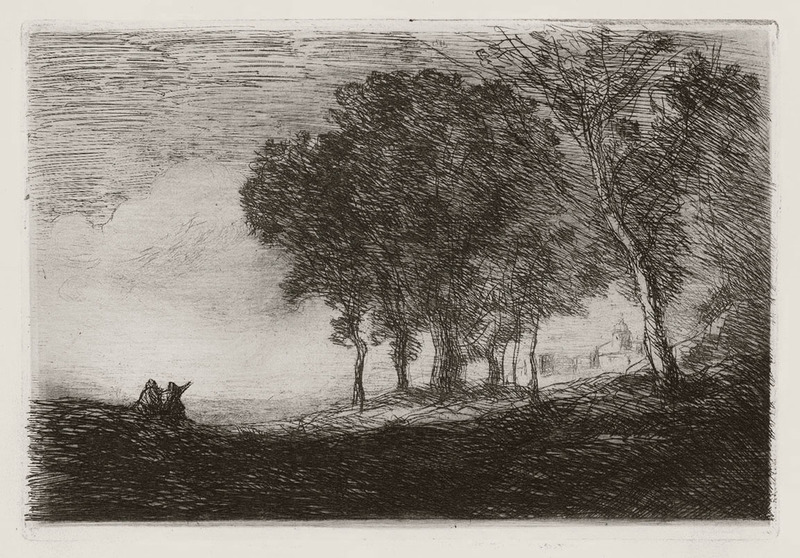 Etching and drypoint, image size 9 7/8 x 13 3/8 inches, 1865, IV/V, Melot D.118, printed at bottom margin "Daubigny Sculp." l.l., "Sarazin imp. Paris" l.r. and titled "Le Gue" l.c., framed. 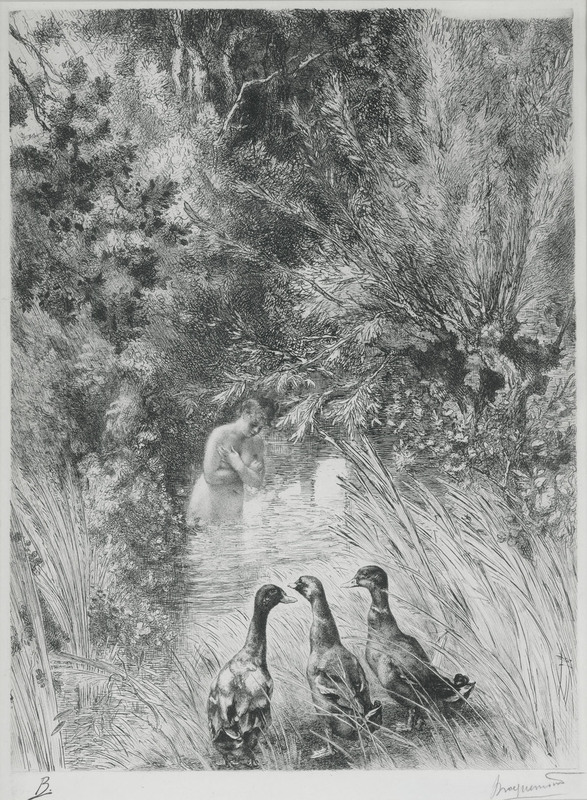 This was Daubignys' third contribution to the "Societe des Aquafortistes", also exhibited at the Exposition Universelle", the world's fair of 1867. 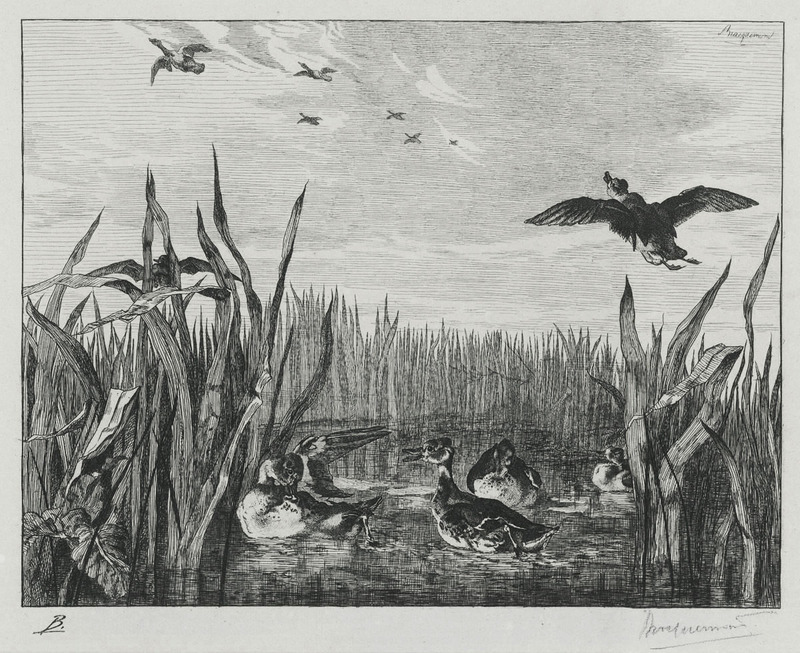 This is a very fine early state etching by British artist Sir Francis Seymour Haden. 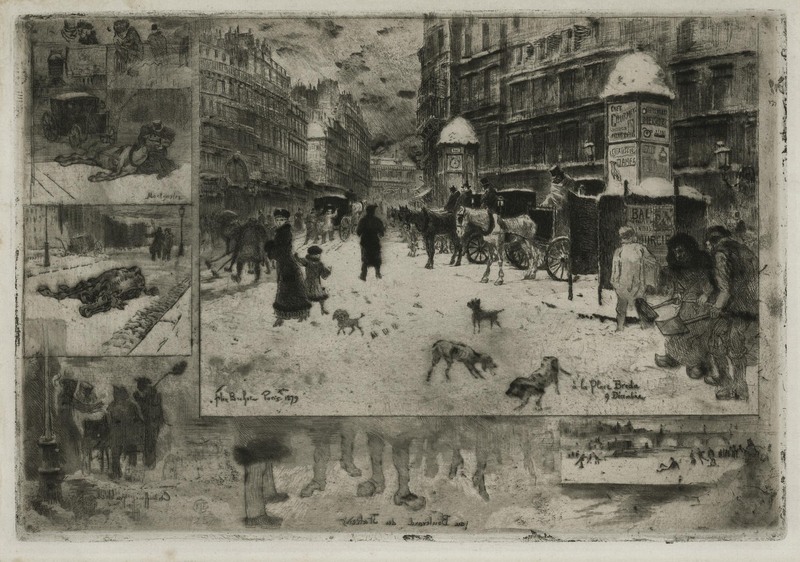 The image size is 5 1/2 x 8 3/8 inches, 1864, state IX/XVII, cat: Schneiderman-72, signed titled and dated in the plate, pencil signed. 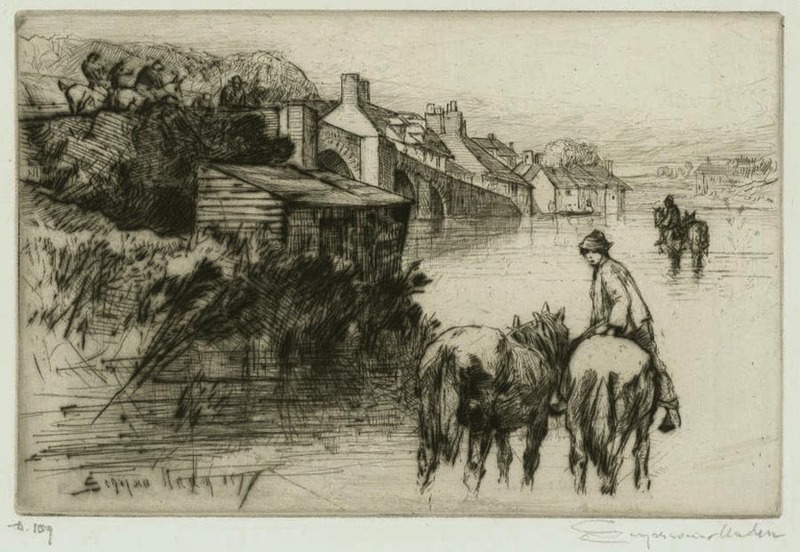 Sir Francis Seymour Haden was one of the most important British etchers of the 19th century, along with his brother in law James Whistler. In addition to being a highly regarded artist he was a successful surgeon, accomplished author and dedicated angler. 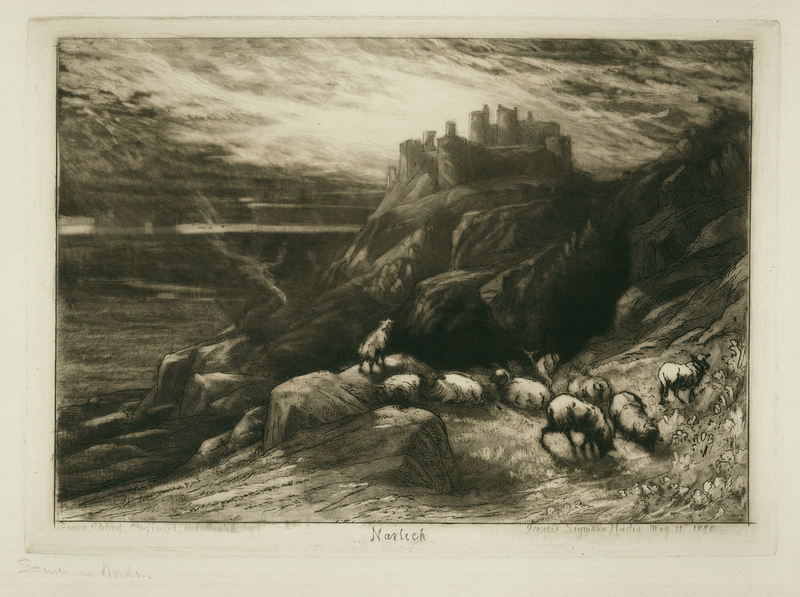 He was a founder and the first president of the Royal Society of Painter-Etchers and Engravers, and was knighted in 1894.